Remember when you were a kid and still had ambitions in life and riding your bike felt like pure freedom? Rolling around town without a care in the world, heading to friends’ houses, and being home in time for dinner were all in a day’s work. There was nothing you couldn’t do. You were unstoppable. Now you can relive that joy as a “grownup” on the Lowside without all those pesky hopes and dreams getting in the way. The Surly Lowside is the bike that gets you across town for a quick rip on singletrack, then over to the bar for a night out. You might even still make it home before dinner. It should come as no surprise that singlespeeds run deep in our DNA and have since day one. Let’s take a brief jaunt down the ‘ol memory lane, shall we? Way back in ’98, we launched the 1×1 Rat Ride. 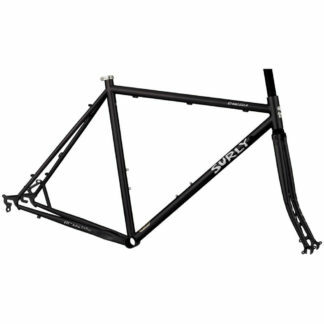 It was our first frame, and, for a lot of people, a first foray into the world of singlespeeds. After many years and many trips to the Sunrise, we decided to discontinue it a couple years back. 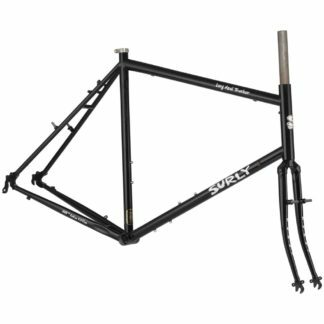 The Surly Lowside picks up right where the 1×1 left off. 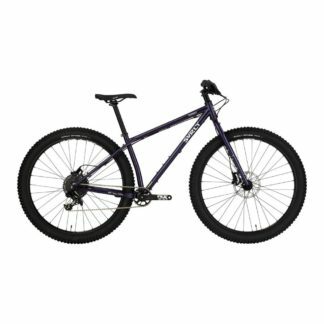 While not technically a dedicated singlespeed due to its derailleur hanger, the frame doesn’t include any derailleur cable guides because, well, we want you to ride a singlespeed. If you do decide to run a 1xWhatever setup, you’ll wanna grab some zip ties or something. We added in some fancy new modern standards like a dropper post cable hole, our Gnot Boost rear spacing, and thru-axles but don’t let all that scare you. We didn’t leave you late-adopters behind. Lowside’s Gnot-Boost rear spacing is compatible with 142 x 12mm or 148 x 12mm thru-axle rear hubs as well as 135 x 10mm QR hubs (when using 10/12 Adapter Washers). That cross compatibility makes the Lowside a perfect parts-bin bike. If you have parts lying around, chances are they’ll work (unless you have rim brakes, those won’t work here). Lowside frame and fork have generous 27.5 x 2.8″ or 26 x 3.0″ tire clearance, and although the frame is spec’d with a rigid 420mm fork with boost 110 x 15mm axle spacing, the frame is approved for up to a 100mm travel 27.5 suspension fork. We spec it with 26+ Dirt Wizards and a Sunrise Bar so you have no excuse to be boring. Hop curbs, cut through alleys, and find some shortcuts. If you’re looking for some mischief on the way to the trail, you can find it on Lowside.